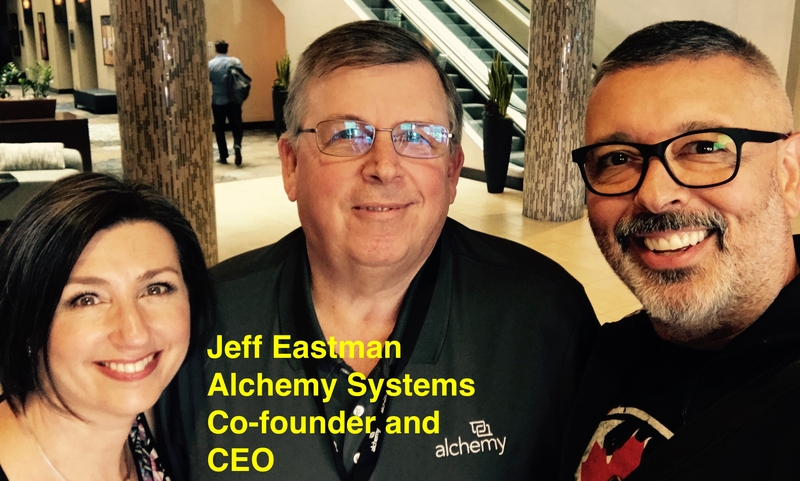 When Alchemy Systems, the global leader in helping food industry companies build knowledge and drive the safety of their frontline workforces, recently hosted an educational and networking event for their clients, they knew they wanted relevant, insightful content for their attendees, and reached out to SmartLeese Creative. We welcomed Alchemy’s objective for the event, which was to provide the leaders and managers who deploy Alchemy’s training with a behavioral method to engage their front-line food safety workers and instill a sense of ownership over effective safety behaviours. 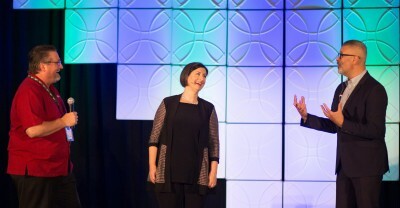 In a lively 75-minute Keynote session with 400 enthusiastic attendees, Lee and Lindsay introduced immediately adoptable improvisational methods, which result in fostering greater empowerment and autonomy. Participants embraced The Improvisation Mindset as a way to build safety practice responsibility and sustainment – another advantageous alliance and fun event! Often, organizations create a list of ‘Corporate Values’, but neglect to bring those values to life in the day-to-day operations. SmartLeese Creative had the exciting privilege to work closely with a company that took a remarkably different tack – Hoffmann-La Roche. First, they polled their workforce to discover what they were predisposed to valuing. The next step was to create processes and procedures that would communicate, embed and sustain these values. That’s where SmartLeese Creative came in. In a full day ideation session, Lindsay and Lee led a group of 300 through a process which included hosting a talk show with team members to share stories and descriptions for each value, then SmartLeese introduced improvisational idea generation techniques to support a mass ideation session which resulted in creating and capturing dozens of exciting actionable concepts. The day was topped off by work groups jumping on-stage to show other groups what they had come up with! A dynamic and stimulating day, that delivered all the raw materials for the next phase of implementation. We can’t wait to see what’s next! 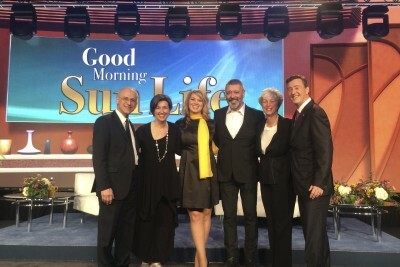 We had the pleasure of creating a custom talk show for a SunLife Financial Rewards event in New Orleans. In a departure from the usual “insert keynote speaker here” approach, we wrote and hosted a loosely scripted Live! 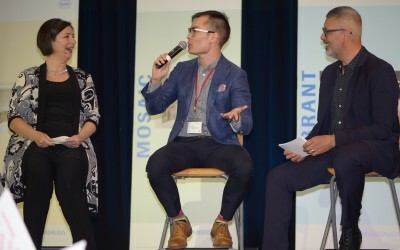 With Kelly & Michael-like talk show, which created an opportunity for the Sun Life executives to shine. 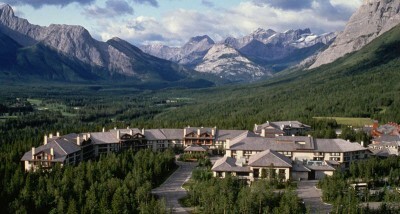 Sharing business messaging and hidden talents in light-hearted interviews; the execs wowed the 1300 reward attendees. Sun Life President Kevin Dougherty brought the audience to their feet with his musical performance when he “slowjammed his business news”, backed up by the comedic styling’s of our performers. His willingness to take the risks and share himself in front of his star players was the crowd’s biggest inspiration and reward of all. Recently, we visited New York City. We had heard the incredible, must-see buzz about the Broadway musical Hamilton. Of course, tickets were completely sold out – but we’re not ones to let ‘impossible’ stand in our way. We headed down to the theatre to try our luck. Striking up a friendly conversation with the box office manager, we let him know how keen we were to see the show. “No tickets” he said, “but come back tomorrow, and we’ll see.” Encouraged, we returned the next day, he remembered us. “Still no tickets – it’s sold out” Undaunted we said we’d be back to try again at the next show. “Hang on”, he said “come back after my break and maybe something will come up”. Goose chase or golden goose? 30 minutes later, we were holding a pair of top-notchhouse seats that our box office friend had just gotten the go-ahead to sell! 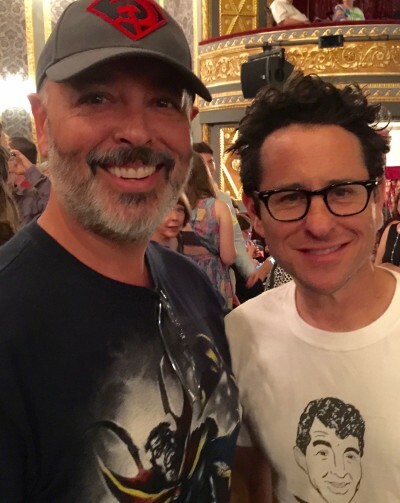 Hamilton was as spectacular as we’d heard – with the amazing perk of getting to meet and chat with Star Wars director JJ Abrams who sat a few seats away. Put it down to persistence, opening doors near and in galaxies far, far away. 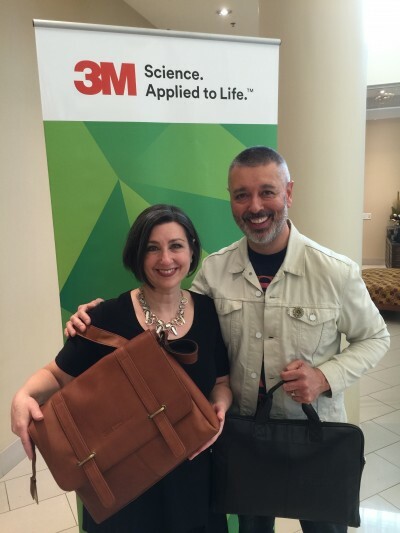 We were delighted to receive these gorgeous bags as a gift after we delivered an interactive keynote address for a gathering of scientists at 3M’s Technical Achievement Day. Following our session “Selling your Science”, one of 3M’s product scientists gave us another gift: he shared what really resonated with him. “I realized…when someone shares an idea they are excited about with you, they don’t want hear all the technical details that represent obstacles, they want to hear “Yes, and here’s how we can make it work.” In other words, we often focus on the reasons why something won’t work, resulting in ideas being abandoned and relationships undermined. Even the best ideas can wither and die without support, while even a mediocre idea can become great with focus and support. It doesn’t take a scientist to figure that out- but in this case it did!